Car crashes claim tens of thousands of lives around the world. Drunken driving, unmindful driving, road problems, aggressive driving and ignorance of traffic rules are what contribute to most car crashes. There are some circumstances where crashes are unavoidable but if you drive with caution you can easily manage to have a safe journey. 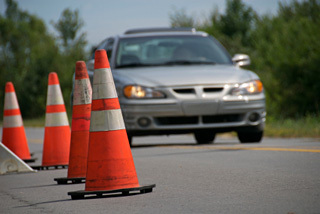 No matter how far or how near you are driving, an accident can occur even in your driveway. But if you know defensive driving then you can avoid most accidents that the road can throw your way. Here are two essential tips that can help you with defensive driving. For most people who drive on a regular basis, driving can become an instinctive task. Being used to driving, your brain can call the shots involuntarily making the process seem like a breeze. But no matter how instinctive and at home you are behind the wheel, you can never afford to become distracted. Absent minded driving can make it very difficult for you to take control of the situation in case of an emergency. When driving focus on the road instead of the song playing on the radio, the calls you get, the food in your hand or the messages coming in. Focusing on the road and being aware of your surroundings should be your priority when behind the wheels. When you are behind the wheel you might be fully focused on the road, but the divers in the other cars might not be. Even pedestrians can be a problem since they might choose to walk out without a warning. While driving down highways or along country sides you even have look out for wildlife crossing the road. Which means that no matter how safe you are driving you can never think that those around you are driving or walking with the same presence of mind. You need to be extra cautious and take sufficient precautions to ensure that you do not run into those who are not focussed. If you resort to defensive driving you are sure to avoid accidents on the road. Why go to a specialized osteopath?